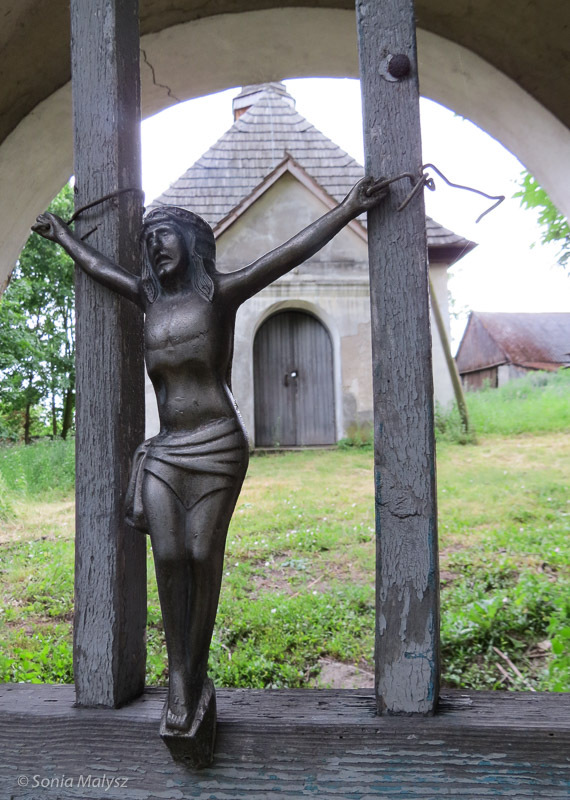 My sister and I stopped at this little church on our way back to Sandomierz in Poland. The gate was shut, the church closed. And yet someone so visibly cared for it by placing this figure of Christ on the gate.